Comfort food – it’s called that for a reason. Macaroni and cheese is a childhood staple that, when altered correctly, can satisfy all those blue-boxed memories with some grownup flair: adding chicken wings makes the meal stay kid friendly while being a little more well-rounded for us kids-at-heart. You won’t even have to hide the box when company comes over – and they will once they smell what’s cookin’. 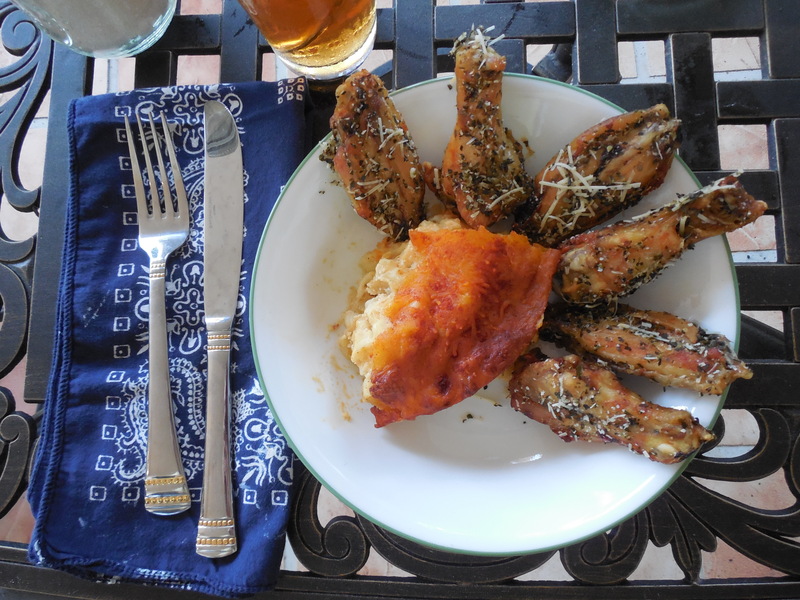 Creamy Macaroni and Cheese with Herbed Parmesan Chicken Wings! I’ve been accepted into the first round of the Diced! competition over at the deliciously delightful Rantings of an Amateur Chef! I’m very excited to participate in this contest… and, of course, to WIN! Only your votes can help me do that!